The Lipidomic Profile is the result of NatrixLab’s interest and research into lipidomics, using the standardised method of chromatographic gas separation of the hematic components, using innovative state of the art instruments able to offer high levels of sensitivity and specificity for the analysed fatty acids. To evaluate the composition of the cell membrane, and consequently the metabolic state of our entire organism. 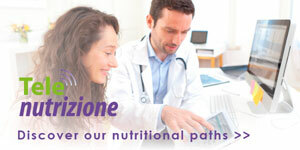 To provide useful support in preventing and treating inflammatory pathologies. Furthermore, the results of the test must be inserted into a general framework that considers the patient’s eating habits, lifestyle and any pathologies. Depression, anxiety, learning disorders, risk of cardiovascular illness. Growth deficit, renal dysplasia, reproductive deficit, flaky skin. Eczema-skin eruptions, hair loss, liver decline, kidney degeneration, increased thirst, frequent infections, slow injury healing process, sterility, miscarriage, arthralgia, cardiovascular illnesses. Weakness, worsened eyesight, learning difficulties, poor coordination, tingling sensation in the arms or legs, mental disorders, low metabolic rate, hypertension, immune dysfunction. Where and how to take the test? 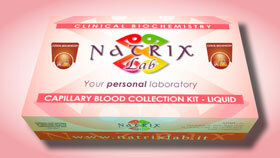 The test involves analysing a blood sample, and can be requested in analysis laboratories, medical centres, health spas and pharmacies that offer NatrixLab diagnosis services. Preparing for the exam: fast for at least 8 hours before the sample is taken. The only effective treatment known today to rebalance the fatty acid profile, is to follow a correct diet that considers any deficits and integrates them with phytotherapy where needed. It is always advisable to consult a specialised nutritionist to evaluate together the most suitable integration both in terms of quality and quantity. We recommend repeating the test after 6-8 months. In the case of therapy monitoring, follow your doctor’s advice when to repeat the test, using the same method and same type of biological sample used for the first analysis. 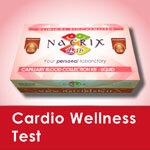 The “Cardio Wellness Test” is an indicator of the state of health of your cardiocirculatory system, and involves evaluating 12 parameters of the health of your heart, with integrations according to the latest indications from scientific research. 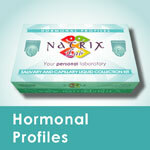 The “Hormonal Profiles” provide fundamental information to identify any imbalances and to give pinpointed advice: food, nutritional-pharmaceutical, physical exercise, sleep quality and general wellbeing. 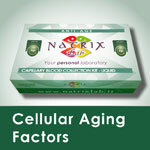 The “Cellular Aging Factors” determine the cell aging profile by means of analysing specific biomarkers, which assess the state of four key processes in the organism: methylation, inflammation, glycation and oxidation. Von Scacky C; Harris WS. Cardiovascular risk and the omega-3 index. J Cardiovasc Med (Hagerstrown). 2007; 8: S46-49. Albert CM; Hennekens CH; O’Donnell CJ; Ajani UA; Carvey VJ; Willett WC; Ruskin JN; Manson JE. Fish consumption and the risk of sudden cardiac death. JAMA 1998; 279: 23-28. Calder PC. 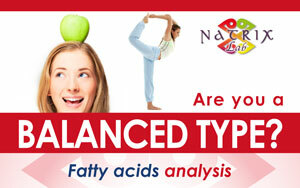 N-3 polyunsaturated fatty acids and inflammation: from molecular biology to the clinic– Lipids. 2003; 38: 343-352. James MJ; Cleland LG. Dietary n-3 fatty acids and therapy of rheumatoid arthtritis. Semin Arthritid Rheum. 1997; 27: 85-97. Endres S; Meydani SN; Ghorbani R; Schindler R; Dinarello CA. Dietary supplementation with n-3 fatty acids suppresses interleukin-2 production and mononuclear cell proliferation. J Leukoc Biol. 1993; 54: 599-603. Simopoulos AP. Omega-3 fatty acids in inflammation and autoimmune diseases. J Am Coll Nutr. 2002; 21(6): 495-505. Salari P; Rezaie A; Lrijani B; Abdollahi M. A systematic review of the impact of n-3 fatty acids in bone health and osteoporsis. Med Sci Monit. 2008; 14(3): 37-44. Hasegawa T; Oshima M. Serum fatty acids composition as a marker of eating habits in norma and diabetic subjects. Diabetes Res Clin Pract 1999; 46(2): 115-120.